Why Is My Cat Drooling In The Car And Should I Be Worried? Cats can drool for a variety of reasons, some of which are harmless. However, it can be concerning for you and stressful for your cat when drooling suddenly begins in the car. How do you know if this is normal feline behavior or if there is something more sinister at play? According to PetMD, drooling can be an indication of serious trouble such as kidney failure, dental trauma, and cancer. More often than not, however, a cat drooling in the car is nothing serious. Thankfully, there is a lot you can do to ease your kitty’s suffering and make car rides much more comfortable and less stressful for you both. What Causes A Cat To Drool In The Car? Motion sickness is the main culprit for cats drooling in the car, and it can happen for a variety of reasons. Your vet can help you figure out if it’s physical or emotional in nature, but the actual triggers of motions sickness are often similar no matter the root cause. Common motion sickness triggers include jostling and bouncing off the car, strong and unusual scents within the vehicle, and unfamiliar and frightening noises outside the car. Your cat may start overheating in the vehicle as well. And, of course, stress from the change in routine and fear of the travel crate can cause your cat to drool, too. Over time, drooling and anxiety can become a conditioned response to the stress of travel. 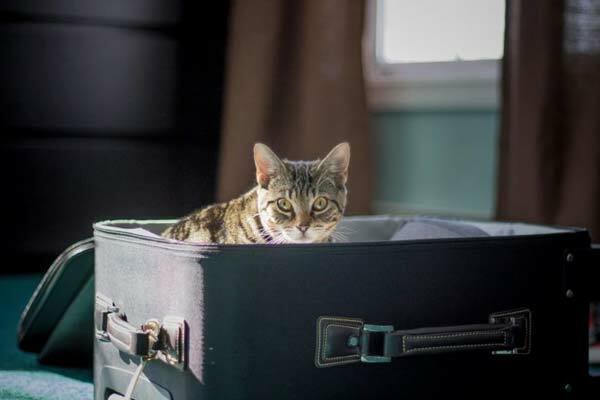 Many cats that have had bad travel experiences in the past may begin to drool and feel ill the moment they see the crate or travel box come out of the closet. 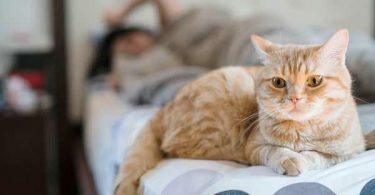 If your cat is usually relaxed and calm in the car but suddenly begins to drool, they may have ingested something such as an errant piece of paper or thread from their bedding. Most cats will be able to cough this up, but if you’re concerned or your cat seems to be in distress, get to the vet quickly. What Other Times Might A Cat Drool? It’s important to note that a cat may also drool due to physical problems or other stresses not related to the car ride itself. Dr. Mike Paul mentions fear, oral cancer, and respiratory conditions, among others. If you suspect your cat has a physical problem, a trip to the veterinarian is in order to rule out neurological disorders, hidden injuries, gastrointestinal problems, or other serious problems. By far, the cutest reason a cat may drool is that they are happy. It’s rare, but some cats will be so relaxed and pleased that they’ll begin to drool while being pet or just lounging in their favorite spot. For these cats, it’s something they would have done their whole lives—sometimes even in the car—so it’s nothing to be concerned about. What Are The Other Signs Of Motion Sickness? Besides drooling, cats can begin showing other signs of motion sickness the moment they’re put in their travel crates. According to VetStrret, They may vocalize loudly, yowling and scratching at the door. They may pace and seem anxious, urinate or defecate in their crate, and may also purr a lot, which they don’t only do when they’re happy. A sure sign of motion sickness is vomiting, which is often preceded by excessive drooling, lip licking, and sometimes panting. Even if your cat isn’t showing any other signs of distress in the car, they may still be feeling ill. Many cats become subdued or will cower in their crates when motion sickness hits. Should I Worry If My Cat Drools In The Car? Usually, there is no reason to panic if your cat begins to drool in the car. You’ll want to check for any obvious reasons for distress such as overheating or new injuries, but chances are good that your drooling kitty is just car sick. However, if your drooling cat becomes lethargic or unresponsive, get to the vet immediately. How Can I Prevent My Cat From Drooling In The Car? If you’ve ruled out any major health concerns like an illness or injury, helping a car-sick kitty is usually simple. According to PetHealthNetwork, You have many options for easing your cat’s discomfort both in the car and at home, so just choose some methods from the following suggestions and see which ones work best for you and your furry friend. Having the correct travel crate for your cat is key to preventing him from getting car sick and drooling. The crate should be well ventilated and offer enough room for your cat to stand up, turn around, and lay comfortably. Be sure to factor in the size and shape of bedding and toys, too. An easy method for stopping your cat from drooling in the car is to desensitize it to the crate. Since your cat probably associates the crate with the vet or long and bumpy car rides, they need to be taught that their crate is a positive place of comfort and safety. For many cats, you can just leave the crate’s door open and place treats, whole meals, and fun toys inside for them to find; curiosity is a powerful thing! Very cautious cats may not go near the crate, even with their favorite treats inside. For those kitties, you’ll need to get down on the floor and encourage your cat to play with you right next to the crate. Move the toys or treats closer and closer to the crate door, eventually placing them inside; it could take minutes, hours, or days, so be patient. If you make her crate comfortable, your cat will be less likely to fear it or to associate it with vet trips, drooling, and feeling ill. Simply place comfortable blankets and pillows inside to encourage your cat to lounge or sleep there on his own. Make sure those same comfort items stay in the crate on your next car ride, and it should help your cat feel safe and comfy. Many cats love to sleep on their owner’s clothing, so use this to your advantage! If your cat is being stubborn and still refuses to go in the crate with cozy blankets and pillows, you can try placing one of your shirts inside. And if your cat is especially fond of clothes straight from the dryer, make a show of putting a fresh, clean, warm shirt in her crate and inviting her to try it out. When your cat is used to the crate being open at home, you can try closing the door for a minute or so at a time and feeding treats through the bars. If your cat remains calm, bring your cat to the car inside his crate, but don’t turn the engine on. Continue feeding treats and lavishing praise for a few minutes, as long as your cat remains calm. You can gradually increase the time you spend in the car without the engine running. Your cat will begin to associate the crate and the car with treats and your calm presence. He’ll get used to the sights, sounds, and smells, too. For a trial run with the car on, be sure to start the car first. After the engine is running and the inside of the car has warmed up on cold days (or cooled down on hot days), bring your cat and her crate out and repeat the soothing, calming routine with treats and soft voices. Do this a few times a week, gradually working up to a short drive in and out of the driveway or around the block. For many cats, it’s a full tummy that starts the drooling and motion sickness. Plan your travel time four to six hours after your cat’s previous meal and you may skip the drool and vomiting altogether. At the very least, clean up will be much easier. How you position your cat’s crate in the car may have a big impact on your cat’s comfort. Try placing the carrier facing forward instead of sideways. Many cats prefer to see their owners during the ride, so don’t cover the bars or carrier windows to block her view. For safety reasons, your cat’s travel crate should always be in the back seat and secured with a safety harness or the seatbelt. If you must place the crate in the front, be sure the airbag is turned off. One of the reasons cats drool in the car is from overheating, and the biggest cause of overheating is the sun. Your cat may love to lounge in the sunshine at home, but in the car, there is nowhere for your cat to escape the heat. A shade on the window should help, or position your cat in the center of the back seat, away from both side windows. 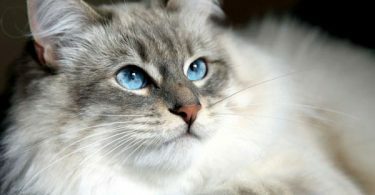 In the right weather, an open window can let in cool, fresh air to help soothe your cat’s nerves and calm the drooling. Opening the window may also reduce the air pressure inside the car, bringing relief to your cat’s sensitive inner ears. Many cats enjoy the sound of quiet music during car rides. Not only does it help your cat remain calm, but it may help ease your tension, too. While some cats love a good jam session on the radio, others may feel more stressed by all the extra noise. Even soothing music might stretch your cat’s nerves to the breaking point. If that’s the case, your cat might be calmer and happier with a quiet car ride and just your voice to keep him company. Stress or excitement on long car rides can make cats drool, which then makes them thirsty. It may seem counterproductive to give a drooling cat water, but it will encourage your cat to swallow and do some self-grooming. Those normal, everyday activities can sometimes calm a stressed cat. Preventative steps can go a long way in helping your cat relax during car trips, but sometimes a little extra help is needed. If your cat’s drooling, vomiting, and travel anxiety are a real concern and none of these other tips have helped, there’s still more you can do. Some owners prefer the natural approach before they’ll turn to prescription drugs for their cats. Ginger is a popular anti-nausea treatment for people and pets. Another is valerian. Before you try any natural remedies, herbs, or treatments, be sure to discuss them with your vet. If all else fails and your cat is truly suffering, your vet may be able to prescribe anti-anxiety medications along with anti-nausea treatments. Before they take that big step, however, your vet might suggest trying pheromones sprayed in the crate or in the car to help calm your cat. This YouTube video from Veterinary Secrets and Dr. Jones explains in more detail some common reasons why cats might drool and provides some simple home remedies, too. All this talk about causes and prevention and remedies for drooling during car rides might seem daunting, but it’s important information to have. That said, you can try all the fancy gadgets in the world, but many cats only need to know that their humans are nearby. A soft, soothing word from you, a gentle scratch behind the ears, and reassurance might be all your cat needs to stop the drooling and relax. Help! My Cat Won’t Let Me Sleep!